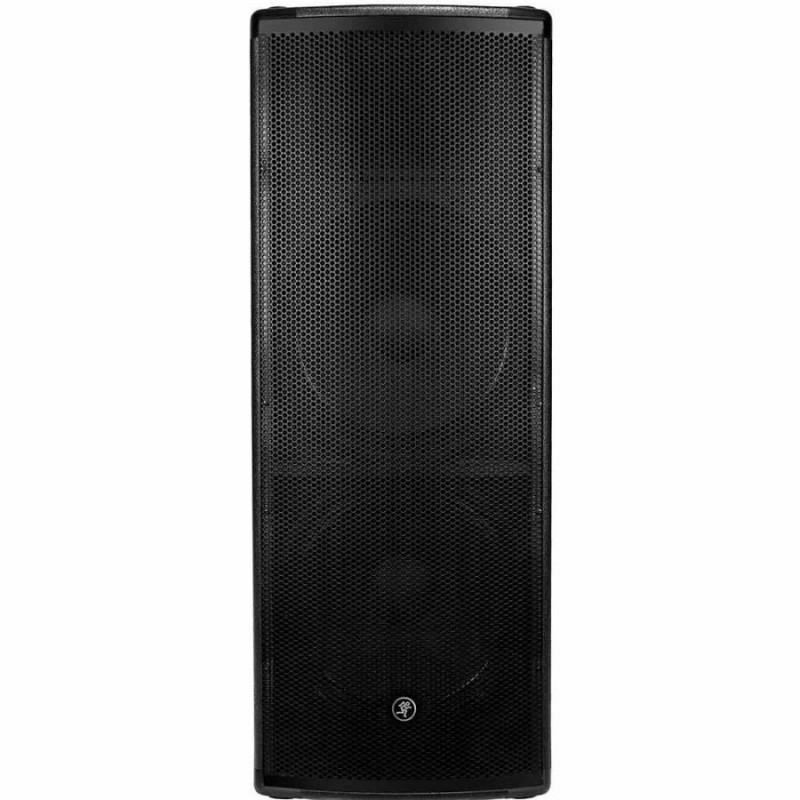 Mackie S525 is a passive loudspeaker with two 15" LF drivers and a wide-dispersion 90° x 50° high-frequency horn. 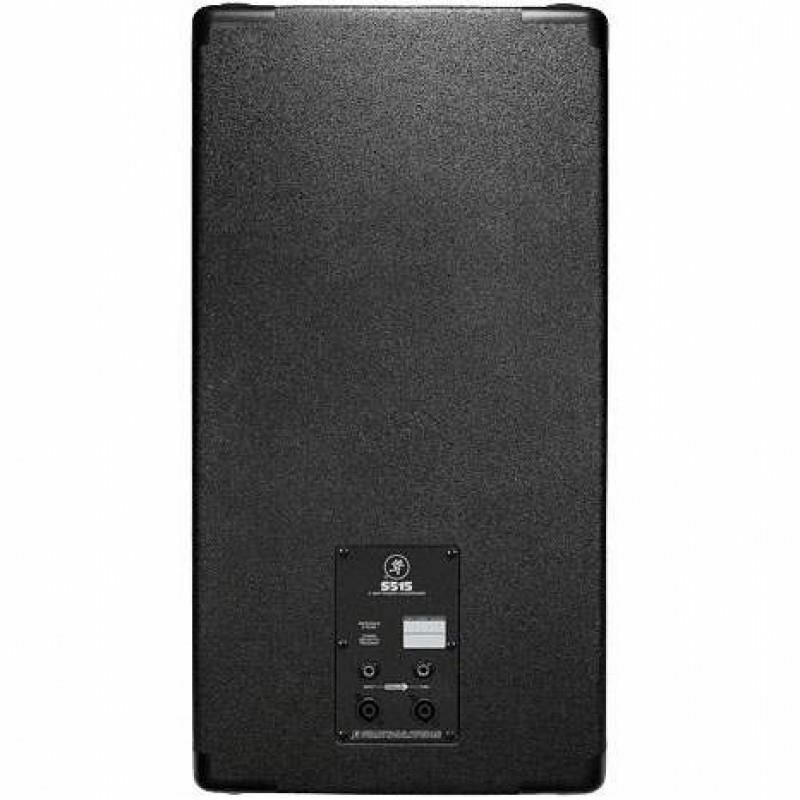 It is an 8 ohm cabinet and has a peak handling capacity of 2400 watts. The S525 is made of wood which, aside from being sturdy and all-natural, provides the best-possible response, extended low-frequency output without annoying rattles or vibrations. Plus, substantial internal bracing provides a more rigid enclosure, reducing nasty vibrations that could negatively affect sound quality. Lastly, the entire acoustic chamber is air-displaced with adiabatic acoustic batting. This dampens internal midrange reflections so they can't bleed back through the LF transducer cone and reach your ears, which causes inferior enclosures to sound "boxy." This, along with LF porting, also allows Mackie S500 enclosures to deliver huge sound in a more compact design than otherwise possible. The full-range S525 also features a highly-durable PVC vinyl covering that protects against the occasional ding or spilled drink. They also have protective edge bumpers. If you had roadies, these bumpers would keep them from messing your speakers up when they knock against a door jam or the floor of a beat-up van. As it is, they will prevent you from doing the same thing. The bumpers also have built-in cups for stacking multiple full-range loudspeakers along with sturdy integrated side handles with an ergonomic design that's great for transportation. QSC TouchMix-8 8-Channel Compact Digital MixerFeaturesEight DCA and eight mute groups.Assign / Un-assign Input to Main Mix*Programmable User-Buttons. *Save your own channel presets and complete mixer scenes to internal memory or USB device.Capturing live performance to multi-track has never been easi..
KREZT HDT-8820UFeatures :Lightweight, compact, and rugged enclosureVHF high band wireless lavaliere/headset MICThree additional inputs for wired microphoneTone control and independent volume controlLine outputBuilt-in rechargeable battery and chargerDimension : 230*160*320mm..
Yamaha KMS-3000 Karaoke Speakers.The 3way provides the new solution for premium karaoke speakers.3-way, premium quality speaker systems.Powerful bass output and naturally clear trebles ensure that both vocals and music are projected with exceptionally high sound quality.Features12cm (4-3/4") Midrang..